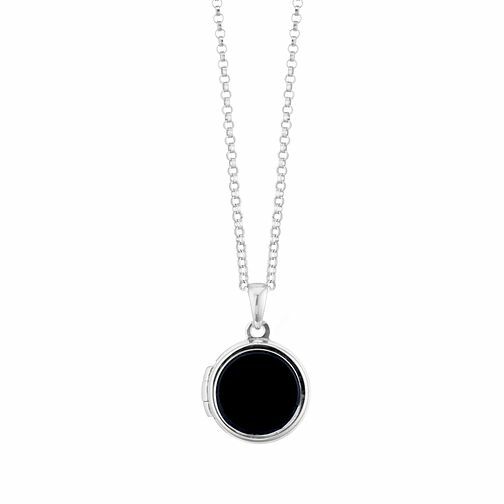 A beautifully crafted locket, made with a silver fine chain, presenting a classic round locket set with a round statement black onyx gemstone. This locket can be easily opened up to keep prized photographs close to your heart. A stunning and sentimental piece with a contemporary twist, perfect for gifting to a loved one or for treating yourself to.